Is it just me, or are comparisons to other films unhelpful? Critics love comparisons. “This generation’s The Exorcist” or “Taxi Driver for a new century” are just two of the enthusiastic epithets recently heaped on Hereditary and You Were Never Really Here respectively. But are such bold proclamations useful? Take Hereditary for example. The comparison with The Exorcist sets it up to fail, given that William Friedkin’s ‘73 shocker received ten Oscar nominations, is universally beloved by genre geeks and regularly turns up on lists of the best horror movies ever made. Putting that kind of pressure on Hereditary - or any other film - is an unfair expectation to live up to. It’s also ill-fitting. Sure, there are some superficial similarities: both are horror films which trade in themes of mothers, daughters, and the occult; both feature families under siege from apparently supernatural forces; and both explore questions as to whether these experiences are rooted in psychology or something more sinister. But beyond this they diverge massively. For instance, author William Peter Blatty famously wrote The Exorcist to prove the existence of God, and – in the words of film critic and Exorcist obsessive Mark Kermode – it’s a film where “everything will be alright in the end”. 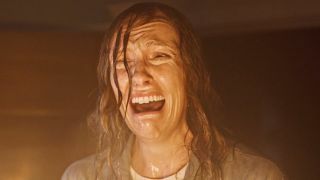 Without dropping Hereditary spoilers, the same cannot be said for Ari Aster’s nightmare movie which is distinctly devoid of comfort, being more concerned with the fatalistic trappings of family lineage than good triumphing over evil. On top of this we live in an age of unparalleled access to films from all eras of cinema, so in a very real sense this generation doesn’t need their own Exorcist – we already have the original. Great movies from down the years are readily available to us all, and – like the canons of Capra, Kurosawa, and Kubrick – Friedkin’s film remains as fresh and vital as ever. The Exorcist is this generation’s The Exorcist. As such, while it’s useful to locate films in the cinematic landscape and draw links between connective tissue, let’s stop comparing them: it’s simply not helpful. Or is it just me?